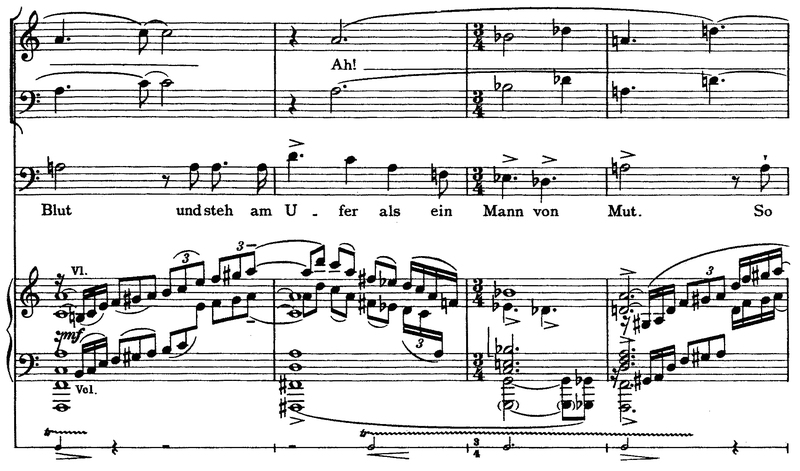 The fourteenth, and last, song includes wordless vocalization—four sopranos and four baritones indicated in the score as “wie aus der Ferne” [“as if from the distance”], singing in octaves, and doubled by trumpets and trombones respectively—as the narrator begins to sing his final farewell. 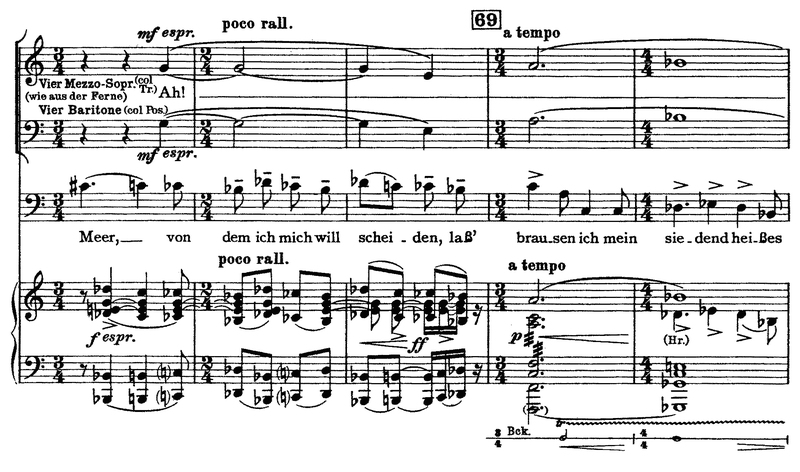 1 Hans Corrodi, “Othmar Schoeck’s Songs,” Music & Letters 29 (1948): 130. 3 Othmar Schoeck, Lebendig begraben (Wiesbaden: Breitkopf & Härtel, 1956), 72–73. 4 Robin Holloway, “Schoeck the Evolutionary,” Tempo 218 (2001): 3.